Denis Rouvre, born in 1967 in Epinay-sur-Seine, France, is one of most renowned portraitists with an international reputation. His series have been widely exhibited in France and abroad, and he has also published several books. His numerous prizes include a Hasselblad Masters Award, World Press Photo Award, and a Sony World Photography Award. 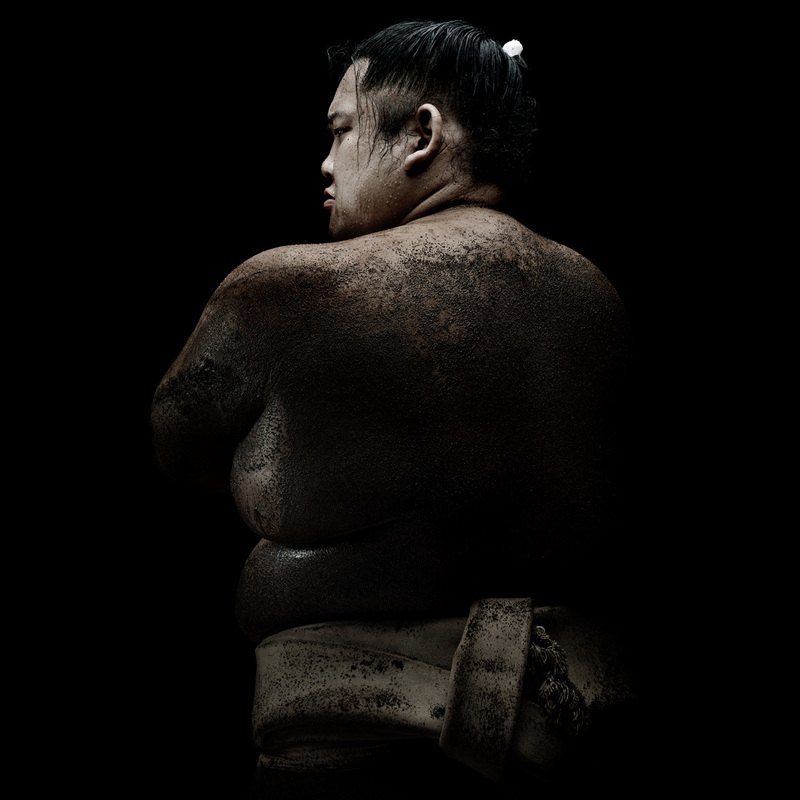 With his latest series, which is dedicated to sumo wrestlers, Denis Rouvre continues on his photographic quest. 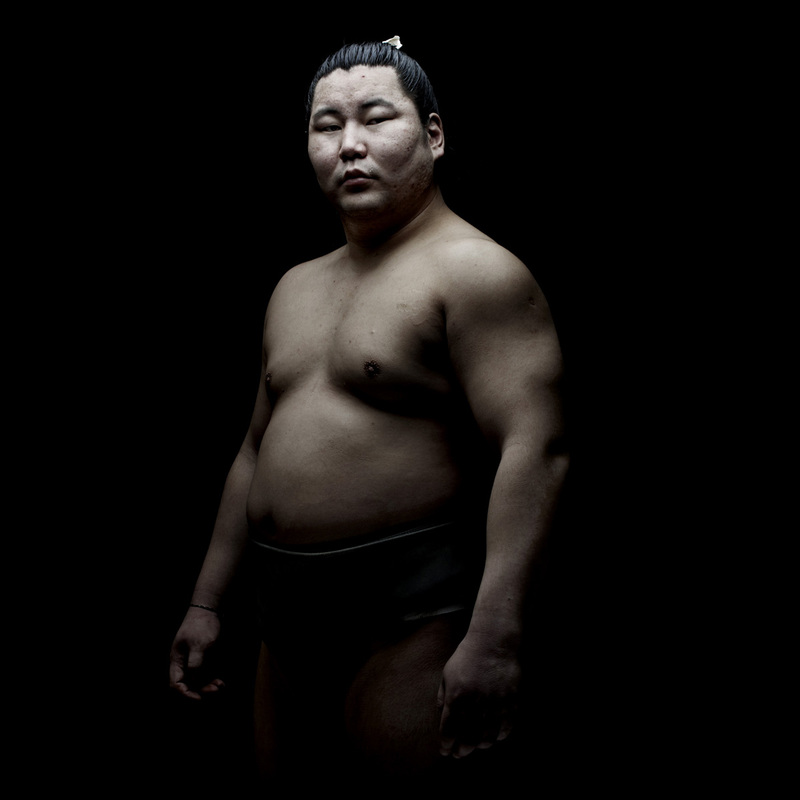 According to legend, weren’t sumo wrestlers at the origin of the creation of imperial Japan and are they not even today regarded as demigods? 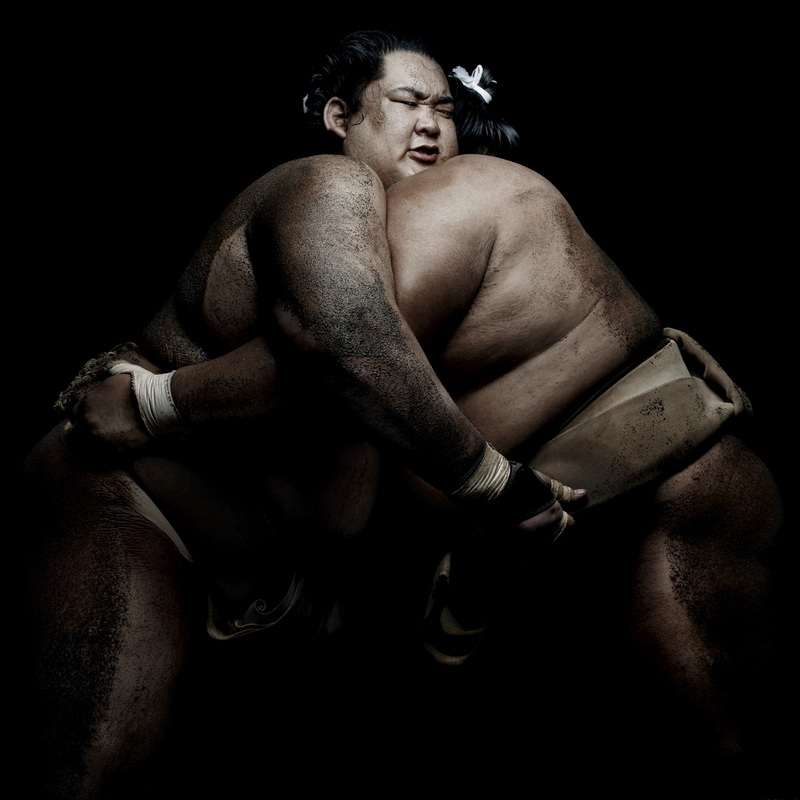 Their lifestyle, which combines a drastic diet (to enable them to reach the necessary weight of 300 to 440 lbs) with intense physical training (thirty hours a week of strength, flexibility and stamina training) and preparation for their wrestling bouts both physical and metaphysical (it includes many rituals), goes some way to explaining their special status. 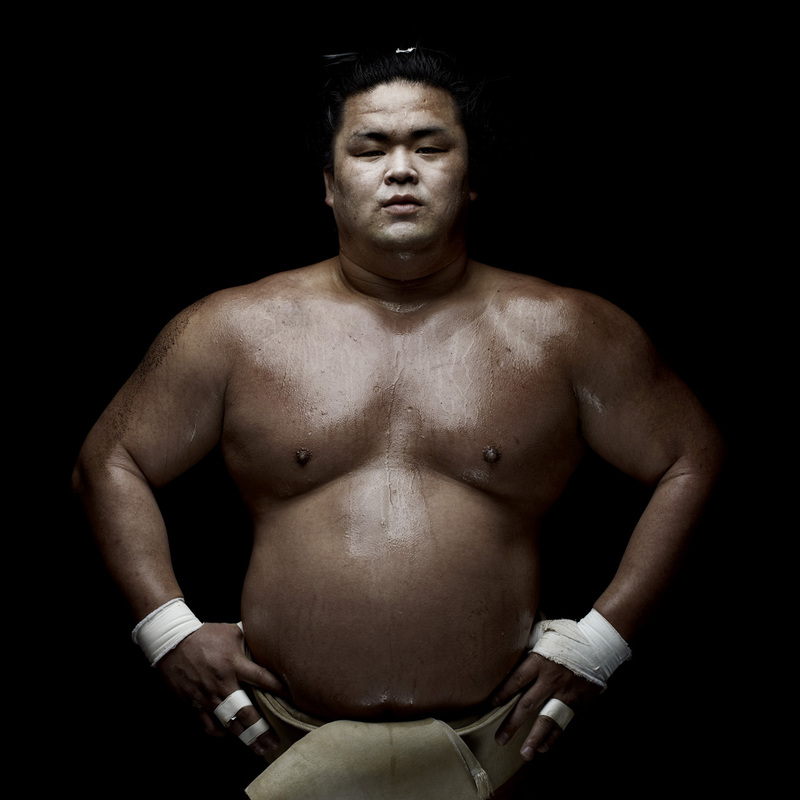 The rikishi’s (strength professionals) are organized into stables where they are compelled to follow a highly hierarchical and codified lifestyle, in which the youngest have to perform household tasks for the whole group and even serve the oldest. Far from sticking to documentary or photojournalistic work, Denis Rouvre focuses on the instant of encounter. 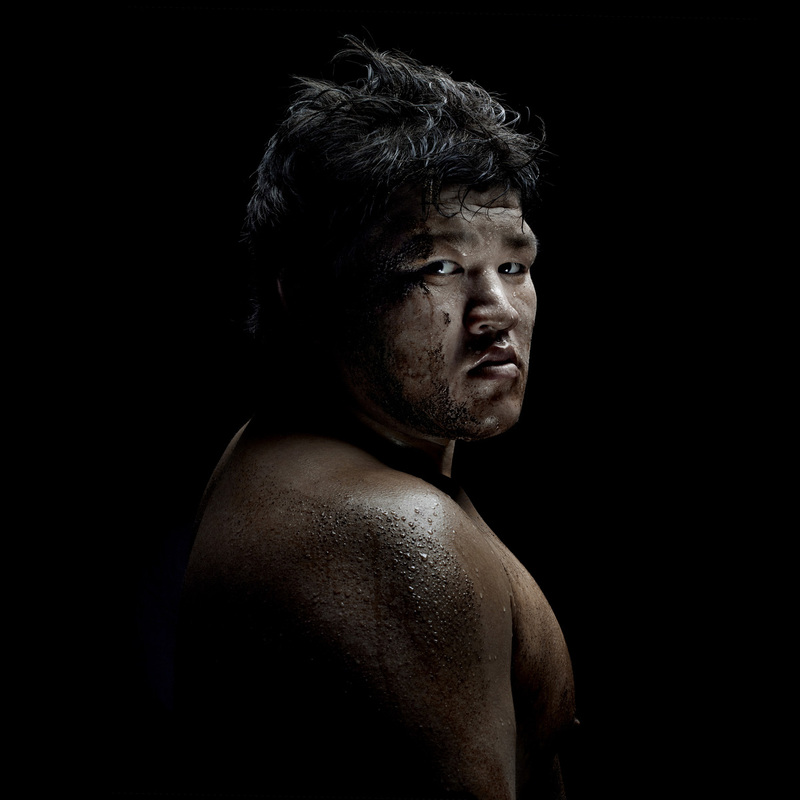 He eliminates all forms of storytelling, framing in his subject’s head and upper body, posing him before a dark background and using contrasting lighting, the better to concentrate on his expression and the marks of the wrestling that has just taken place. Unlike the virile power of the Senegalese wrestlers in his Lamb series, what seizes our attention here is the almost feminine delicacy of the “O-sumo-san”, whose long, jet-black, swept-back and tied-up hair, delicately-rimmed, fine lips, and voluptuous curved silhouettes are the exact opposite of the western code of virility. Shot just after a training session, these men are seized by the gravity of the moment, whose special tempo, relaxation after confrontation, lends itself to shooting with often unexpected results. What we see is their exhaustion, and a sort of absence from themselves, but also an impression of pretty subtle power visible in their posture and gaze. 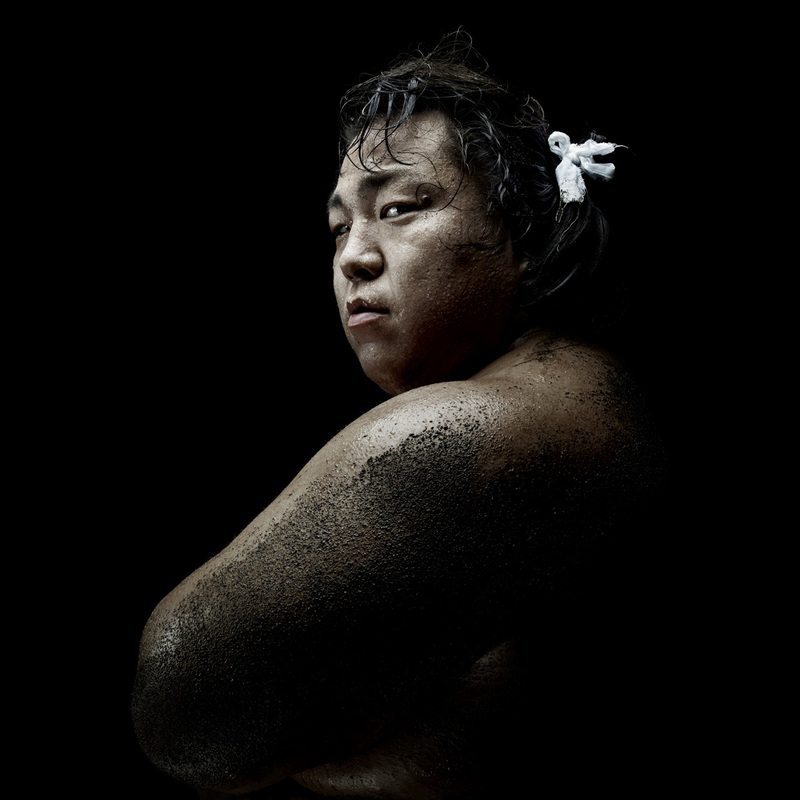 If some of the men’s faces seem impassive, their hair, oily with sweat, and their skin caked with the clay of the dohyō attest to the reality of the wrestling. The few fractions of seconds it takes one sumo wrestler to eject his opponent from the dohyō or make him touch the ground with some other part of his body than the soles of his feet are mirrored in the few fractions of seconds to let go in front of the lens in one unique instant, poised between self-unawareness, tension and grace.